Our Sanctuary, Social Hall, Library, Religious Education Rooms, and Kitchen are available for rental. 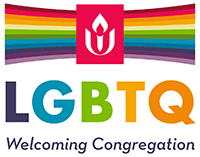 Please contact the Church Office, 863-646-3715 or contact@uuclakeland.org for availability. We have many different groups, including the Lakeland Broadway Chorus, Narcotics Anonymous, the Hokori Zen Buddhist Temple, and the Lakeland Role Playing Guild using our facilities each week.